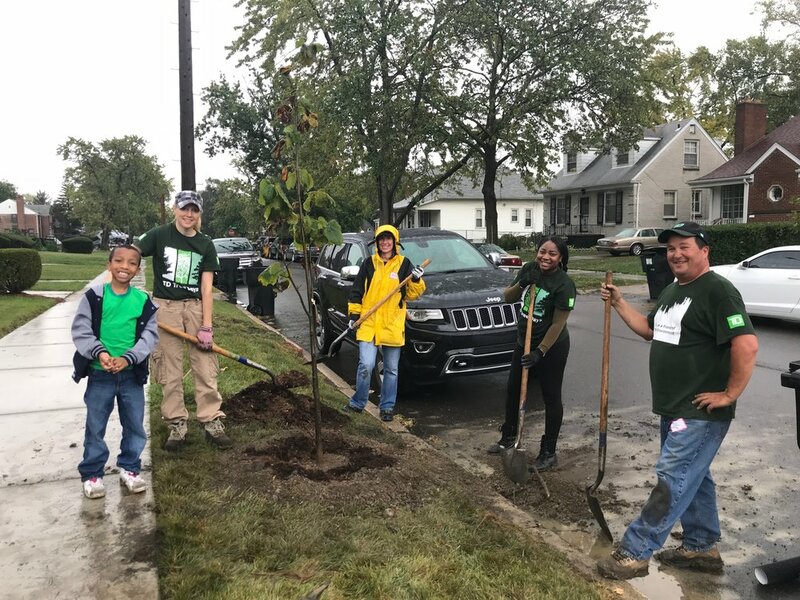 The Greening continues to build on the foundation of its green infrastructure program, focusing on serving and empowering Detroit communities in the development of healthy green and productive landscapes. This work is intentional and community oriented. It combines information, education and community outreach to support the installation and maintenance of ecological landscapes. 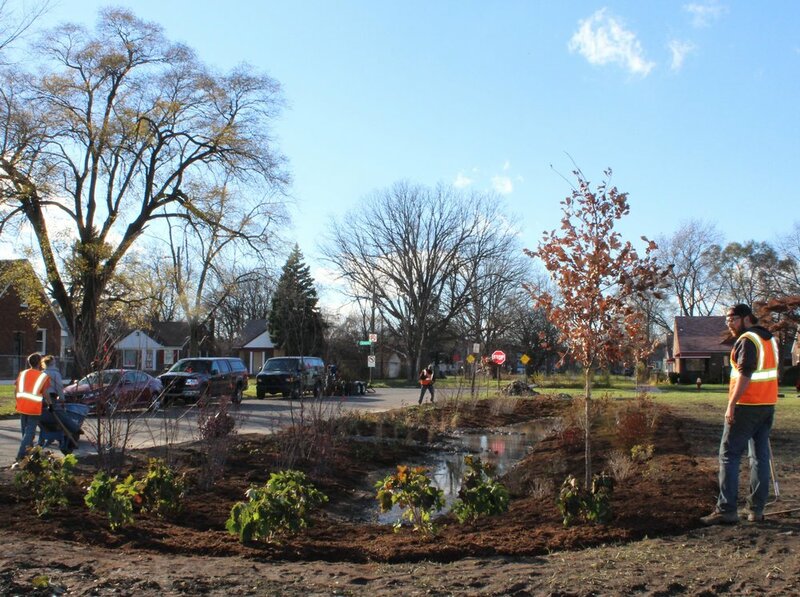 The Greening of Detroit provides Community Tree Planting services to residents, community groups and non-profits. We have taken some big steps over the past 2 years on the long planned renovation of the Walter I Meyer Nursery, a 72 acre tree nursery located in Rouge Park. Spring 2018 we have planted several thousand “baby” trees. The Greening will be installing these trees in parks and public spaces in Detroit, Hamtramck and Highland park in future years. The Greening of Detroit continues to grow its social enterprise program with fee-for-service landscape projects. This generates consistent revenue for general operations, workforce training and other core programs. The fee-for-service work is also a pipeline for some of The Greenings Workforce Development graduates. Greening experts are also participating in the Land+Water Works coalition of 10 independent non-profits. Education about water stewardship, conservation and key concepts behind the updated drainage charge program in the City of Detroit are components of the curriculum.